You can use Update Variations In Cart for Variable Products to change variations from cart page. All existing products & newly created product will automatically be enabled with the feature to change variation in cart. 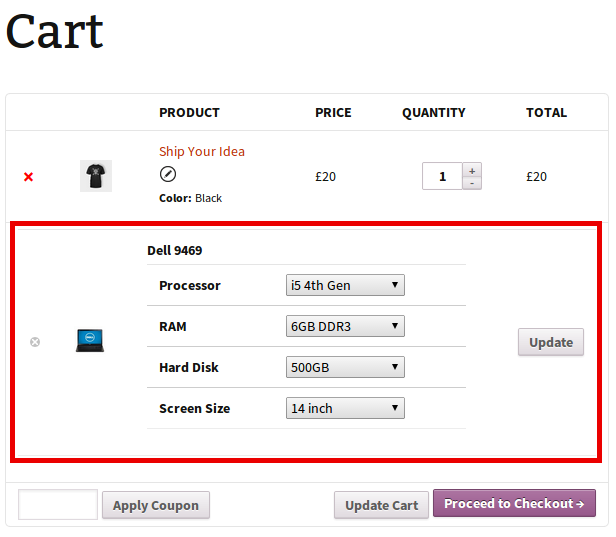 Go to your shop page and add any of the variation of variable product in the cart. 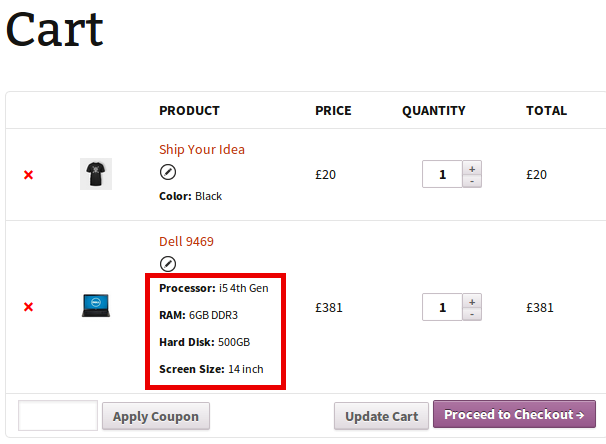 When any product variation is in the cart, your customer will see a round shaped button just below product’s name. On clicking it, another form will appear, where your customer can change variations & can hit Update button. Your customer will then see updated cart values, as shown below. Your customers can update multiple variations at once.